If you are thinking about remodeling your current kitchen or building a new home in which you want a unique kitchen space, consider a few of the new trends showing up in local luxury homes. A popular cabinet trend is the two-tone approach. 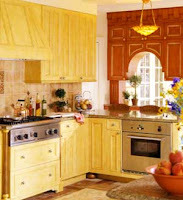 Some people like to have the center island be constructed of a different species of wood, or just stain it a different color than the main cabinets. Other choices include having different upper and lower cabinets, or actually creating upper cabinets that differ not only in color, but style as well. Another must have for homes in Minnetonka or Wayzata are super-sized center islands. Since the kitchen is the new area for entertaining, the island must be large enough to cook, showcase, and eat all at the same time. 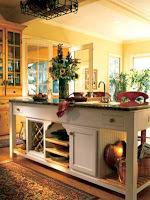 Popular options include granite countertops, wine storage, gas cooktops, sinks, and artwork displays, just to name a few. Don’t forget to make it feel like a piece of furniture, too. Adding columns and bookshelves help transition the room from cooking to lounging, and in some instances, provide a more casual atmosphere. One more thing, add glass doors to cabinets. Not only does it break up the look of the kitchen, but it adds interest and allows a homeowner to showcase glass artwork or antique dishes. You can even place recessed lighting inside the cabinet to highlight the pieces when guests visit. Look for future blog posts that feature new trends for the Luxury home owner in Minneapolis, or comment on anything you are seeing in your local real estate market!